At the end of Ethel Benjamin Place, Bag End can be found. 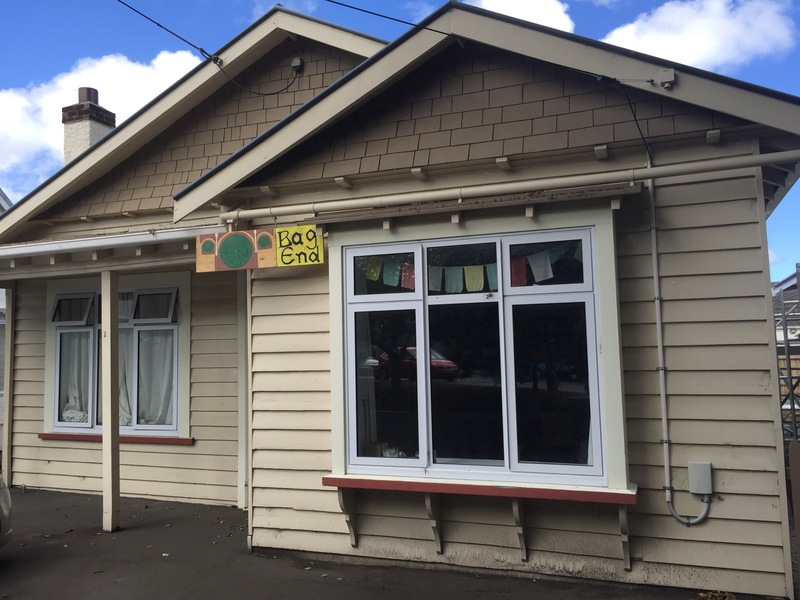 The sign depicts the circular green door of a hobbit’s home, the lettering of the sign (and the accompanying party business sign hanging from the front door) is written in the style we’re now familiar with as that of Middle Earth. In Tolkien’s world of Middle Earth, Bag End was the home of Bilbo Baggins, then his nephew Frodo Baggins after him. Bag End was in the village of Hobbiton in a region called The Shire. While it is reasonable to suppose the residents are fans of Tolkien, it’s worth noting the name is apt for another reason, Ethel Benjamin Place is a cul-de-sac which translates as ‘end of the bag’. 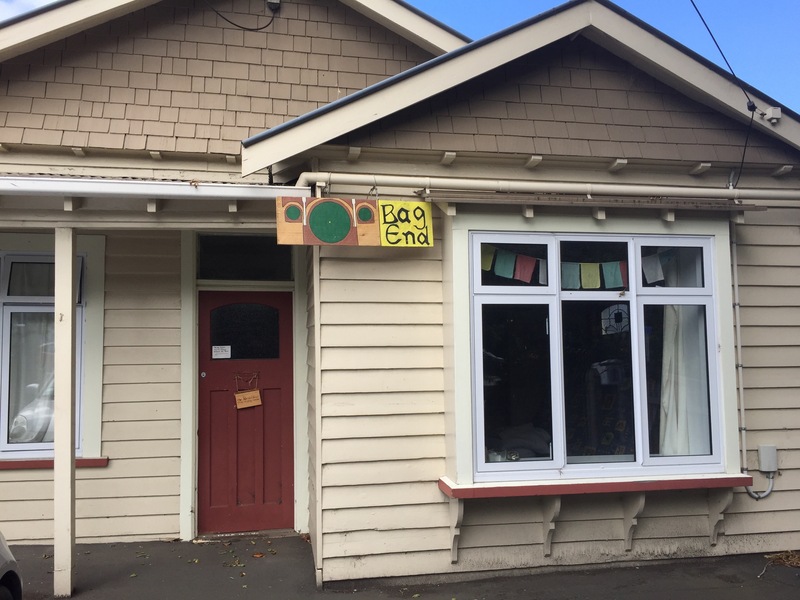 Dunedin North has a history of Tolkien inspired flats (Hobbit, Hobbit’s Hovel, The Shire, Helm’s Deep, Queer Lodgings) – additionally, in the 1990s, there was a bookshop at 13 Frederick Street known as Bag End Books (1991-2004). Here’s an illustration David Mitchell drew for Bag End Books which was published by Radio 1. Anything to do with Bag End Books that was at 13 Frederick Street? I don’t know, but thanks for mentioning it, I’ll see what I can find out.